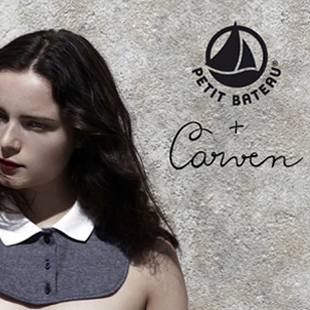 Petit Bateau and Carven present at 10 Corso Como their exclusive capsule collection designed for women, men and children. It blends the know-how and quality of the former together with the style and elegance of the latter. Polo shirts, cardigans, cotton jersey bibs in blue marl with white collars and navy, figure-hugging smock dresses are brought together in a seductively demure collection that makes traditional shapes part of contemporary style. Guillaume Henry is the creative director of the house of Carven since 2009. He studied at IFM, the Institut Français de la Mode, in Paris. In 2002 Henry began working for fashion houses like Givenchy and Paule Ka. Henry has personally overseen the presentation of this special capsule collection choosing three real models wearing the garments.